Eggs are making a comeback as a healthy and nutritious food after years of sitting on the list of ‘unhealthy’ foods due to concerns over their cholesterol content and assumed associations with heart disease. The 2013 Australian Guide to Healthy Eating, which is Australia’s official guidelines on nutrition, include eggs as a healthy suggestion for daily protein sources. This means that eggs are considered to be a good source of protein and are treated like lean meats, fish, nuts, legumes and tofu. This is because eggs are a highly nutritious food. Along with being a source of high quality protein, eggs contain at least 11 different vitamins and minerals such as antioxidants, iron, omega 3 fats, folate, vitamin A, iodine and vitamin B12. Eggs are also one of the few food sources of vitamin D, a nutrient that many Australians lack, especially in winter. The fat-soluble vitamins (vitamin A, D, E) and essential fats such as omega 3 fats are present exclusively in the yolk. That is why to get all the benefits of eggs, you need to eat both the egg white and yolk. Food composition data from NUTTAB 2010 shows the following nutrient profile of 100g edible portion of hen eggs (approximately 2 small eggs). *RDI – recommended dietary intake Average adult – male and female (non-pregnant, non-lactating) aged 19-70 years. 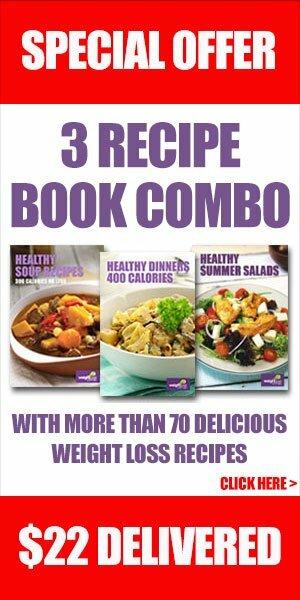 Why were eggs previously considered unhealthy? The historical concern about egg is due to the cholesterol content and assumed associated heart disease risks. Older analysis set the cholesterol content of an egg at a high of 250mg, when the recommended maximum is 300mg a day. So, eating one egg was enough to put you close to the daily limit. Current figures, however, shows that the cholesterol content of 2 small eggs is only 182mg, which is a far less concern. Furthermore, research shows that the effect of cholesterol eaten through foods on blood cholesterol and heart disease risk is a lot less the effect saturated fats have on cholesterol levels. Following healthy eating guidelines and adequate physical activity is likely to have a greater effect on reducing health risks and improving nutrition, than simply cutting out eggs. In fact, the National Heart Foundation’s position statement on eggs (2009) states, "all Australians who follow a healthy balanced diet low in saturated fat can eat up to six eggs each week without increasing their risk of heart disease." This also includes individuals with diabetes or metabolic syndrome (a cluster of conditions that together increase your risk of heart disease, stroke or diabetes). If you love to consume more than 6 eggs per week and especially if you have diabetes, the easiest way is to separate the egg and consume up to 6 egg yolks per week and enjoy more egg whites. 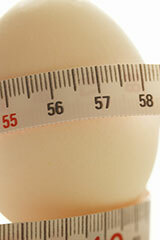 Should you avoid egg if you’re trying to lose weight? Well, at around 300kJ for a 60g egg, the energy content is quite low and it provides a good amount of protein, which helps fill you up. A standard 50g of chocolate bar will easily contain double the energy without any of the nutritional benefits obtained from eggs. If you are trying to lose weight, start by cutting foods with empty nutrition – low nutrient high calorie foods such as soft drinks, cakes, chips, biscuits. Eggs can be a regular part of healthy eating, but do go easy on the oil, butter or cream that often goes with egg dishes. Eggs are very versatile and included in many recipes. It is great for fussy children and also the elderly, providing an excellent source of nutrients and protein that is easy to chew and used by the body. The proteins in eggs are complete (contain all nine essential amino acids) and are of high biological value, which means more readily absorbed and used by the body. In fact, scientists often use egg protein as the standard against which they judge all other proteins. So, the bottom line is, eggs are a great protein source as well as other important nutrients for health. All Australians, even if you have diabetes or are trying to lose weight, you can enjoy 6 eggs per week without them adversely affecting your health. Eggs are very affordable and highly nutritious, which makes them a great food for families, fussy eaters and the elderly. This article was produced with the help of our friend Konsita Kuswara, an Accredited Practising Dietitian (APD) from Nutted Out Nutrition. Nutted Out Nutrition are dedicated to providing realistic, expert personalised nutrition advice to help improve your health and lifestyle. And they have three central locations for your convenience. For more information call (03) 8376 6226 or visit our website.